After his “Nordic Recordings“ and “Southern Recordings“ Edu Comelles aka Mensa returns to Resting Bell with a new two-track-EP. Besides his work as composer and sound designer Edu also runs the fantastic Audiotalaia-netlabel. released on the album “Moorland“ via Test Tube. The work is strongly related to Edu’s recent sound project “Walking Composition“, a great concept between technology and nature. The general sound is shifting between deep droning elements and more rhythmical glitches and bleeps, layered on top of each other and beautifully woven together. 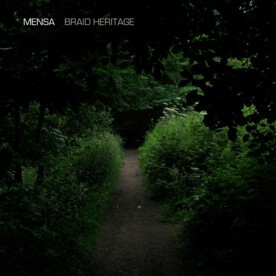 All recordings done in Edinburgh’s Heritage of Braid between June and August 2009. This album is a live recording using Walking Compositions Material. Edited and mastered in Valencia, Spain. Special thanks to: Martin Parker, Andrew Spitz and Chris Bathgate who encouraged me to stay on the forest. All tracks produced and arranged by Edu Comelles. 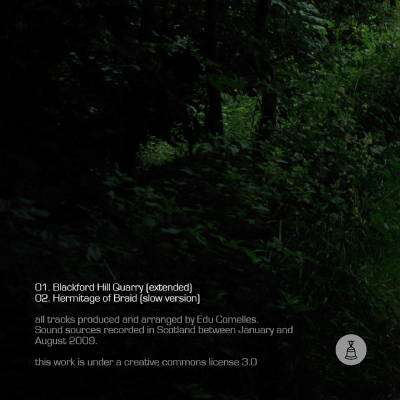 Sound sources recorded in Scotland between January and August 2009.